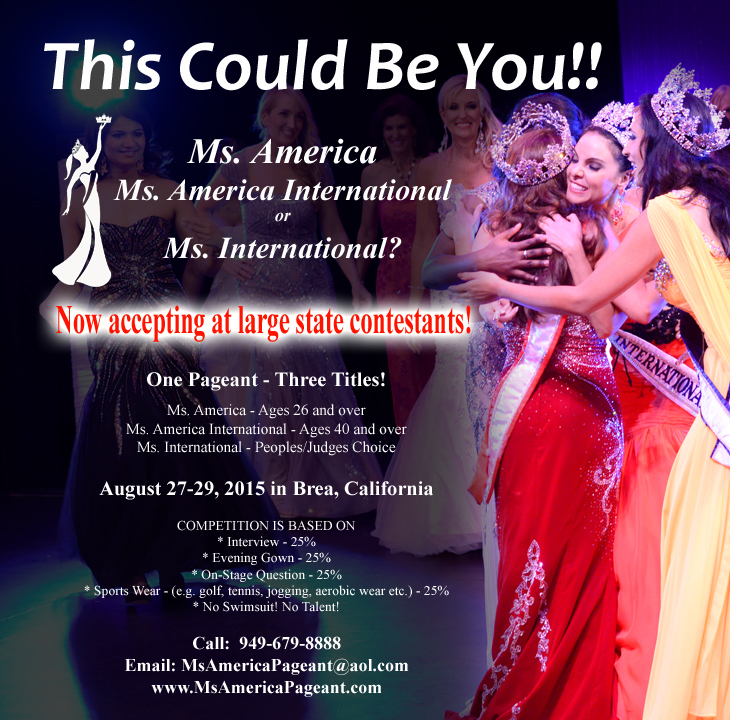 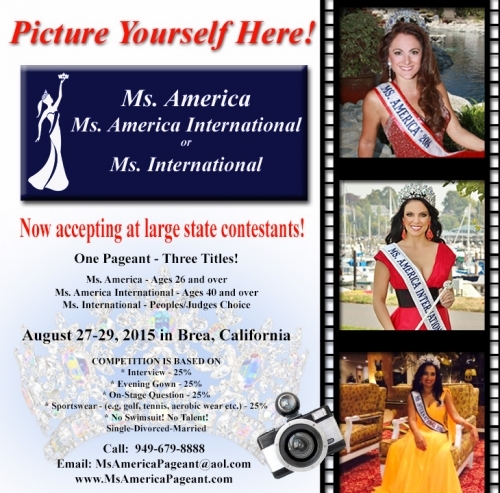 Ms. International ™ is part of the Ms. America® Pageant Inc. system and is for women 26 years of age and up who are single, divorced, widowed or married. 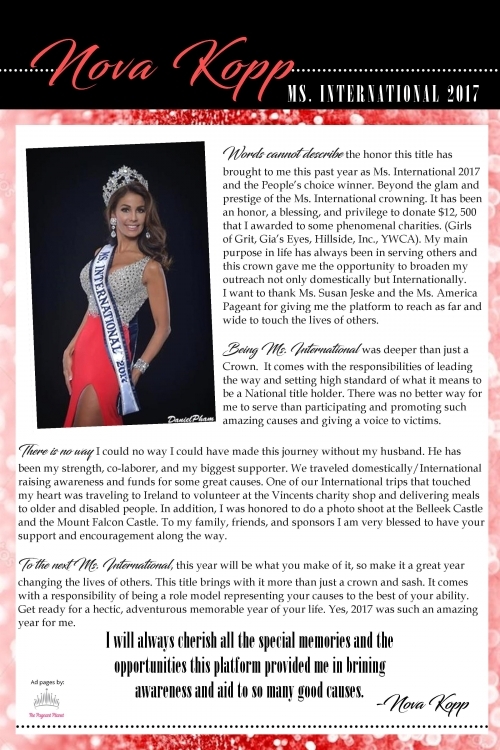 The beauty pageant has been developed to promote and honor women, celebrate their accomplishments and use their "Crown for a Purpose" to support and encourage involvement in volunteer service. 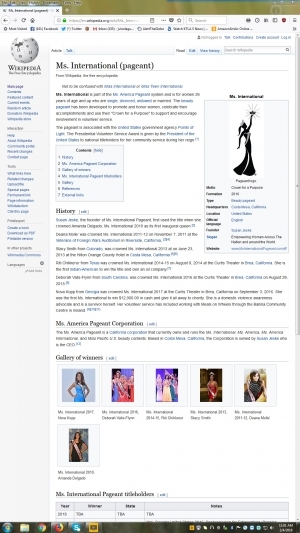 The pageant is associated with the United States government agency Points of Light. 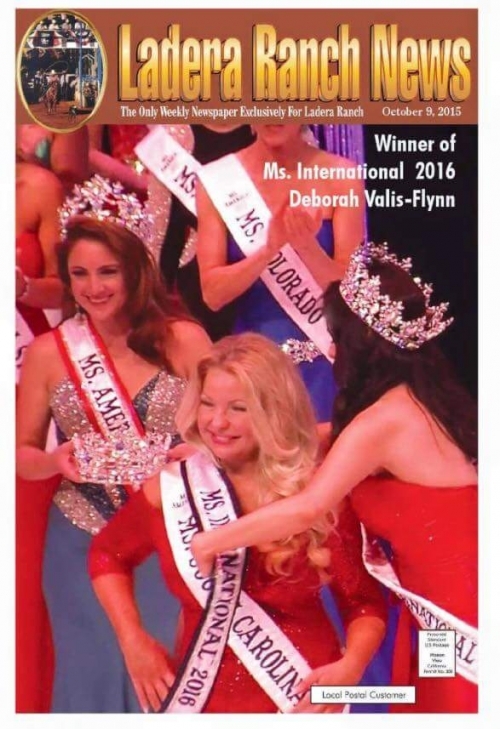 The Presidential Volunteer Service Award is given by the President of the United States to national titleholders for her community service during her reign. 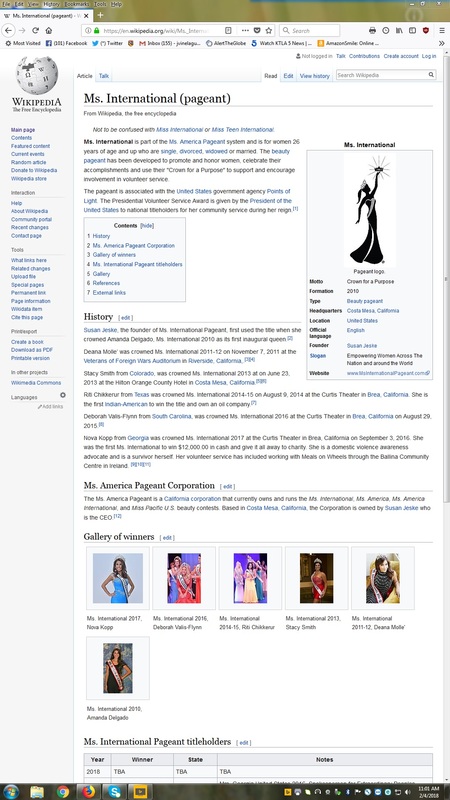 * Jugdes Competition Scores in sportswear, evening gown, on-stage question and interview. 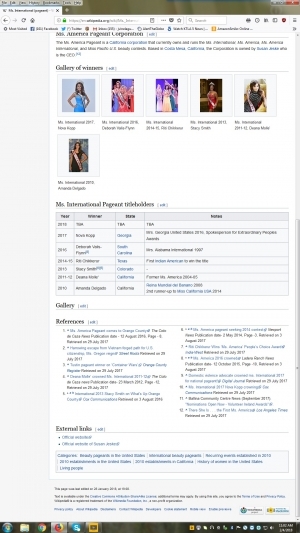 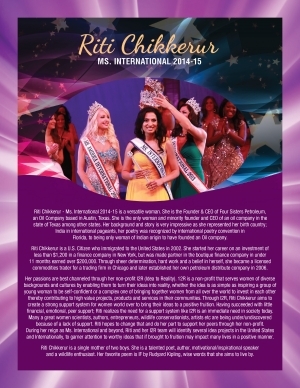 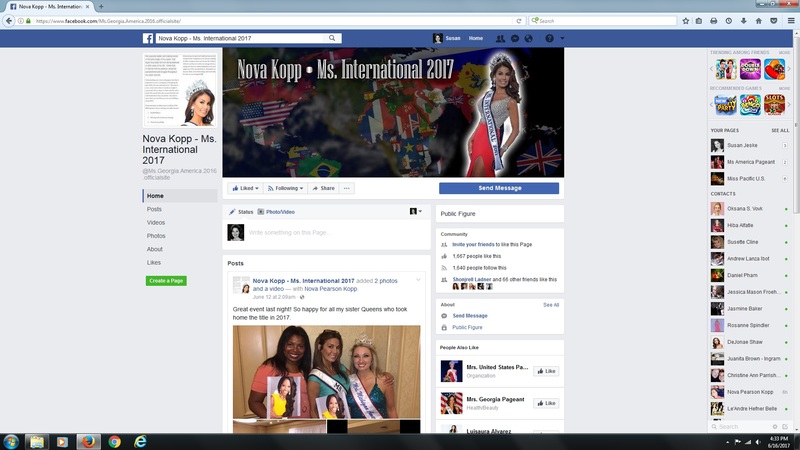 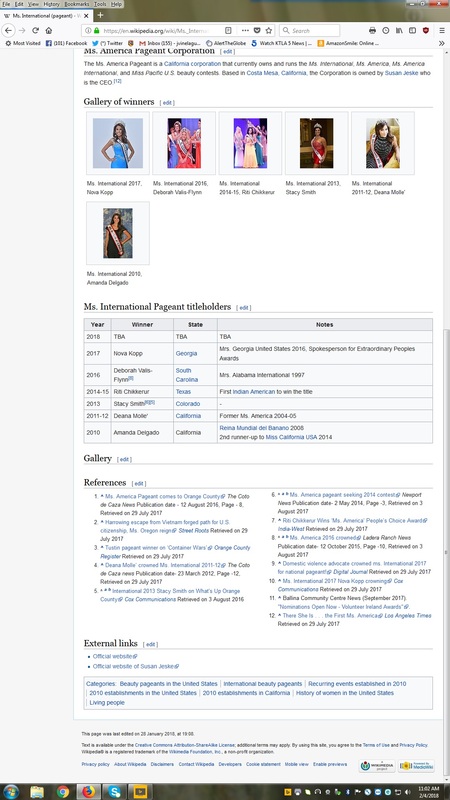 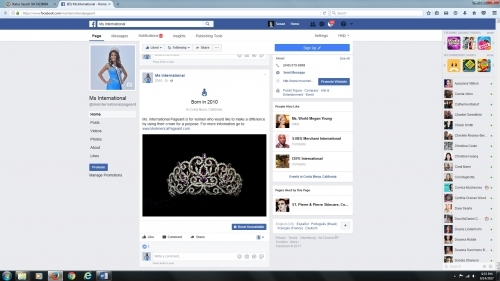 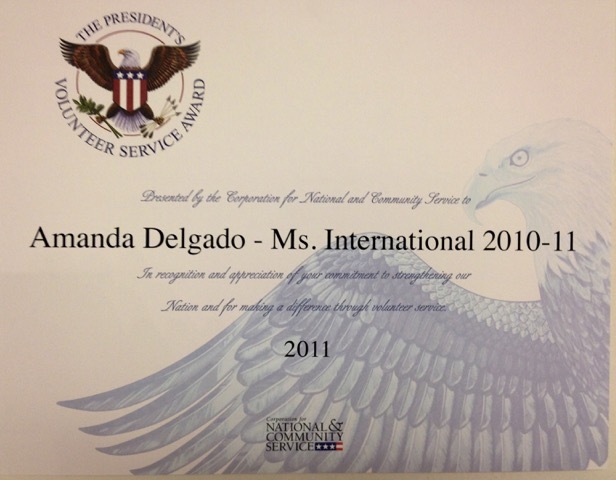 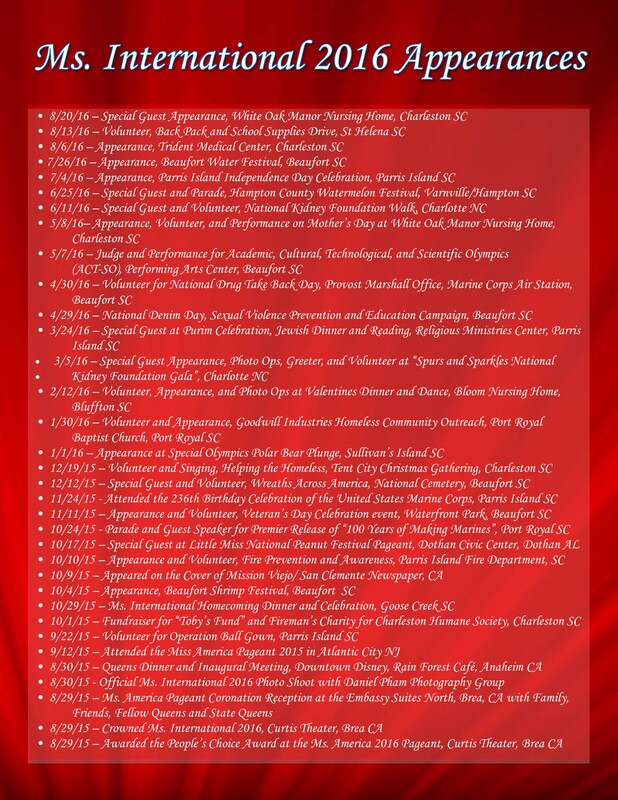 Susan Jeske, the founder of Ms. International ™ Pageant, first used the title when she crowned Amanda Delgado, Ms. International™ 2010 as its first inaugural queen. 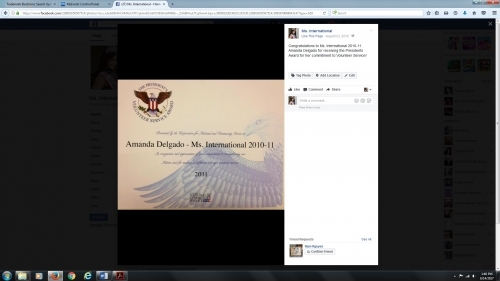 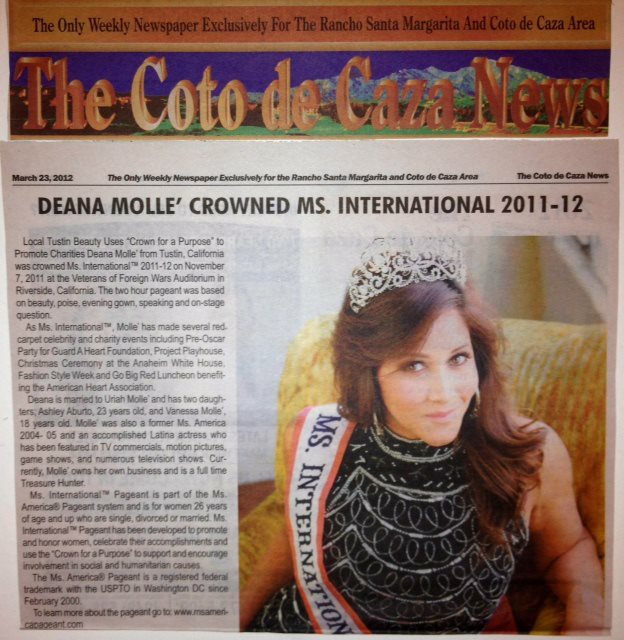 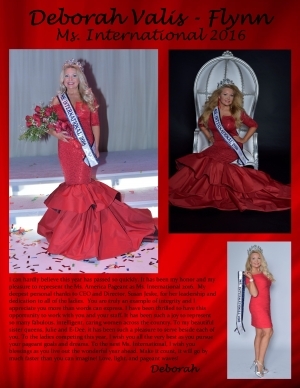 Deana Molle’ was crowned Ms. International™ 2011-12 on November 7, 2011 at the Veterans of Foreign Wars Auditorium in Riverside, California,. 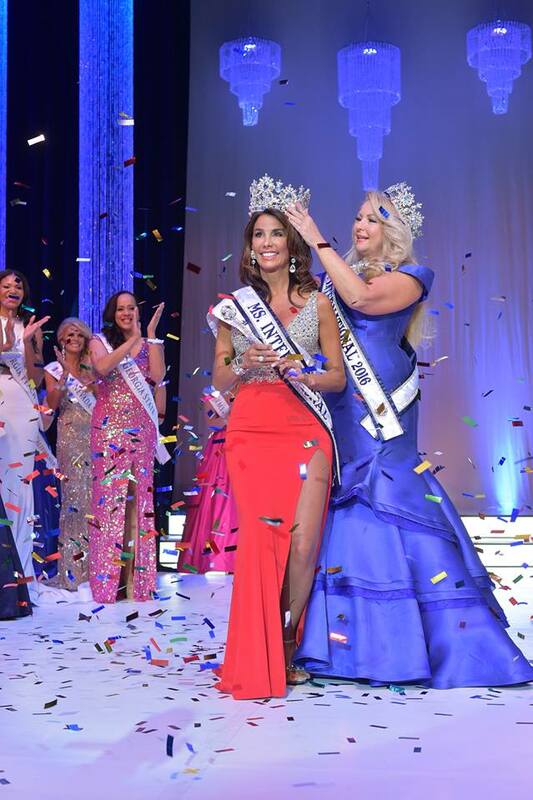 Stacy Smith from Colorado, was crowned Ms. International™ 2013 at on June 23, 2013 at the Hilton Orange County Hotel in Costa Mesa, California. 2014-15 on August 9, 2014 at the Curtis Theater in Brea, California. 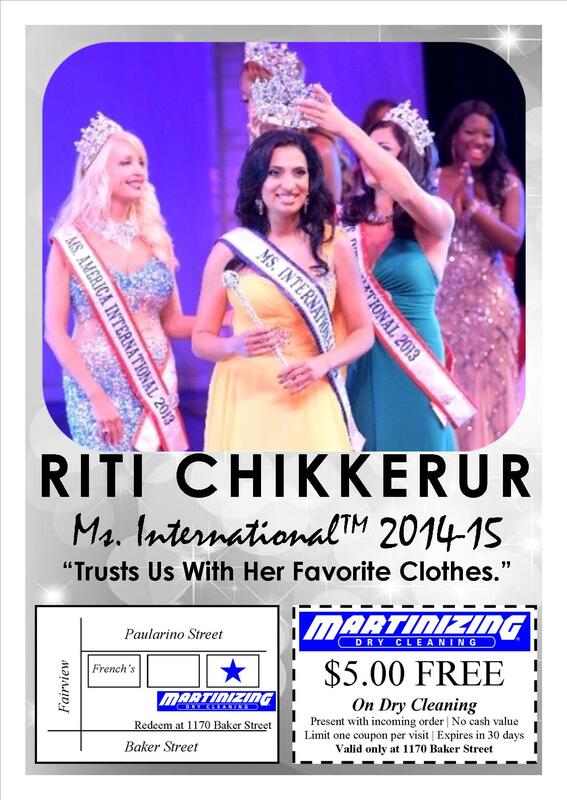 She is the first Indian-American to win the title and own an oil company. 2016 at the Curtis Theater in Brea, California on August 29, 2015. 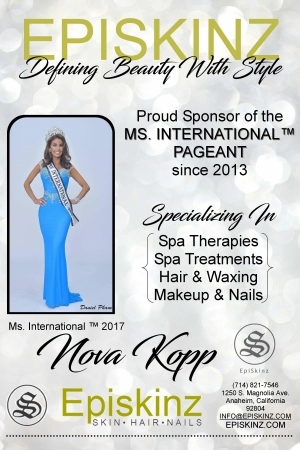 2017 at the Curtis Theater in Brea, California on September 3, 2016. 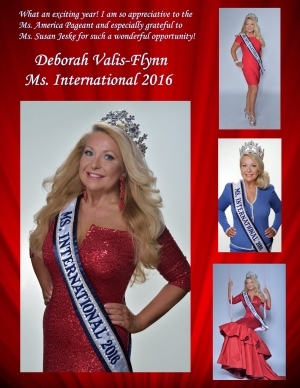 She was the first Ms. International to win $12,000.00 in cash and give it all away to charity. 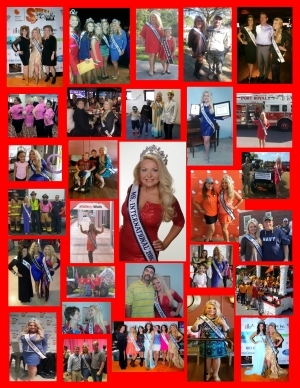 She is a domestic violence awareness advocate and is a survivor herself. 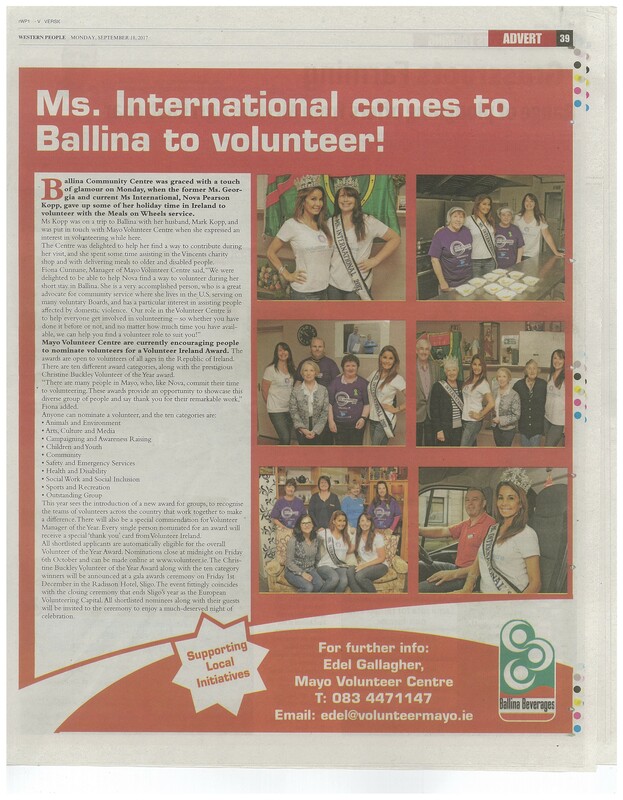 Her volunteer service has included working with Meals on Wheels through the Ballina Community Centre in Ireland. 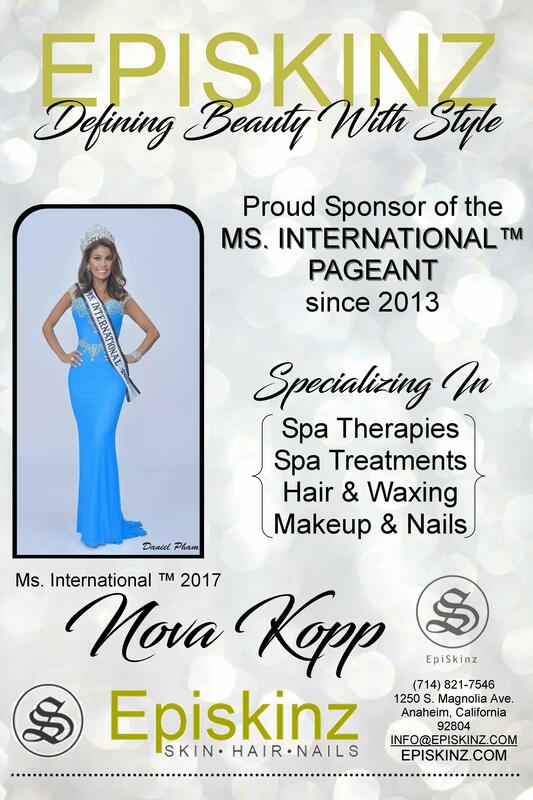 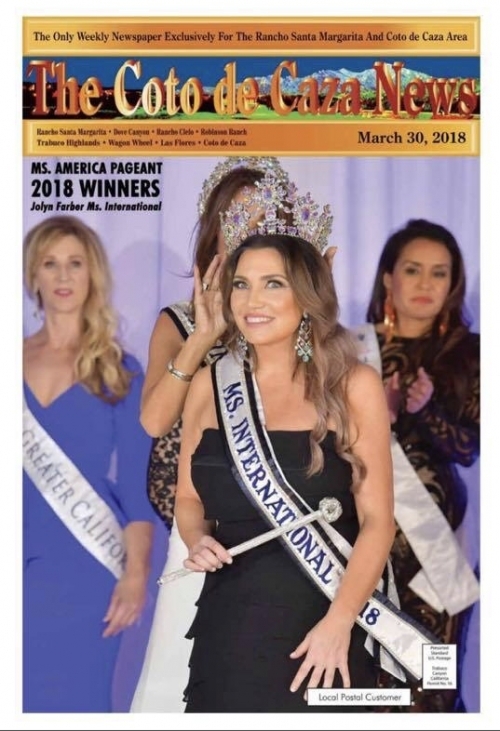 Jolyn Farber representing New York was crowned Ms. International™ 2017 at the Queen Mary in Long Beach, California on March 10, 2018. She was also the People's Choice Internet Voting winner and won $12,218.90. 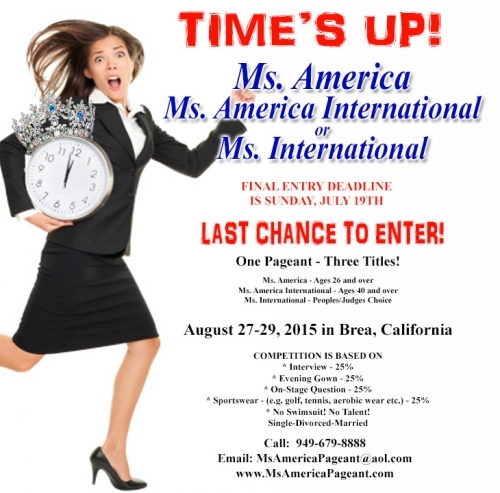 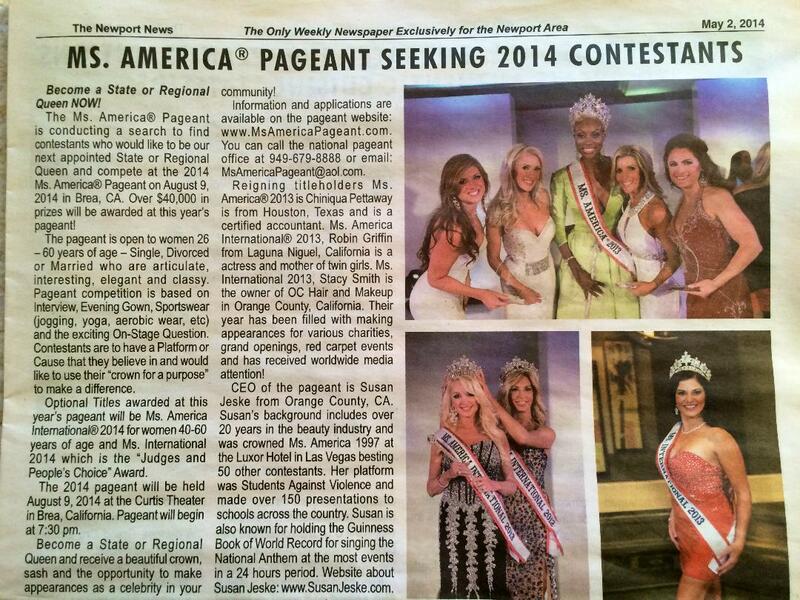 MS. AMERICA ® PAGEANT INC. 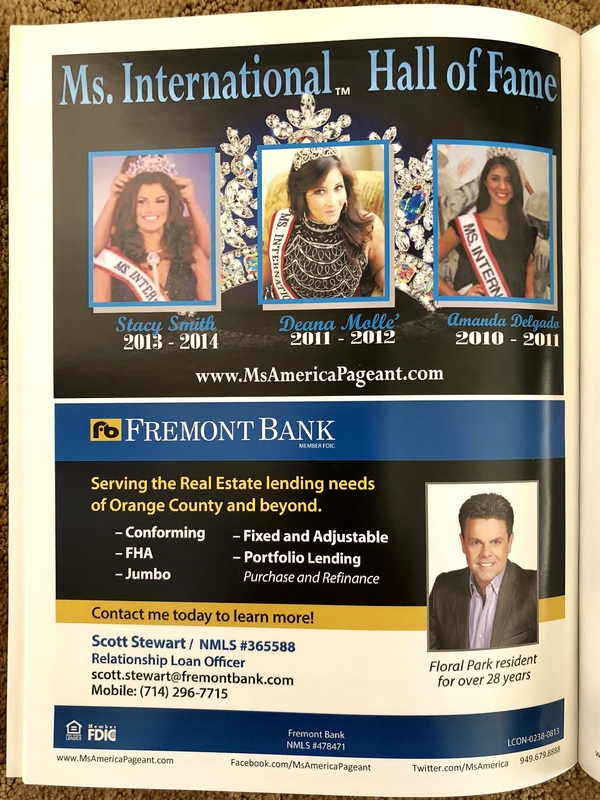 The Ms. America® Pageant is a California corporation that currently owns and runs the Ms. International™, Ms. America®, Ms. America® International, and Miss Pacific U.S. beauty contests. 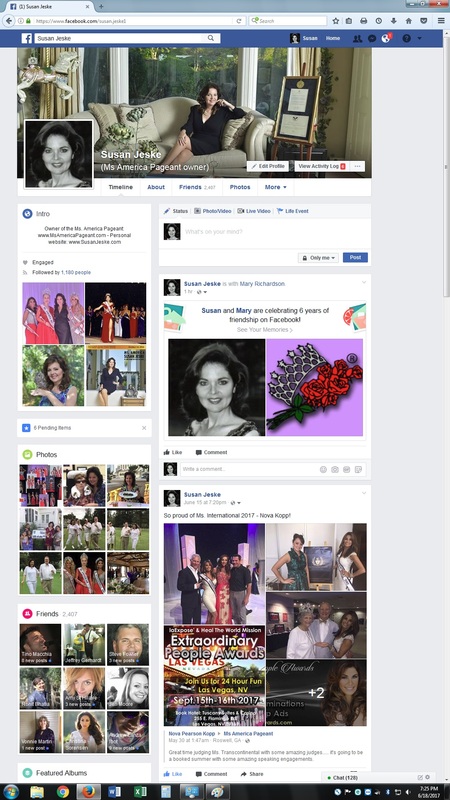 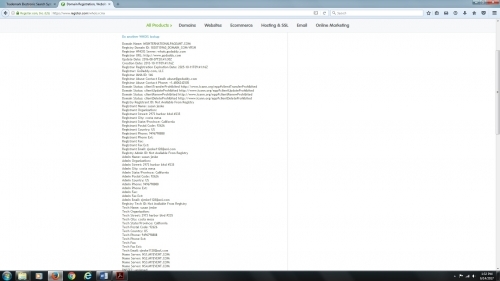 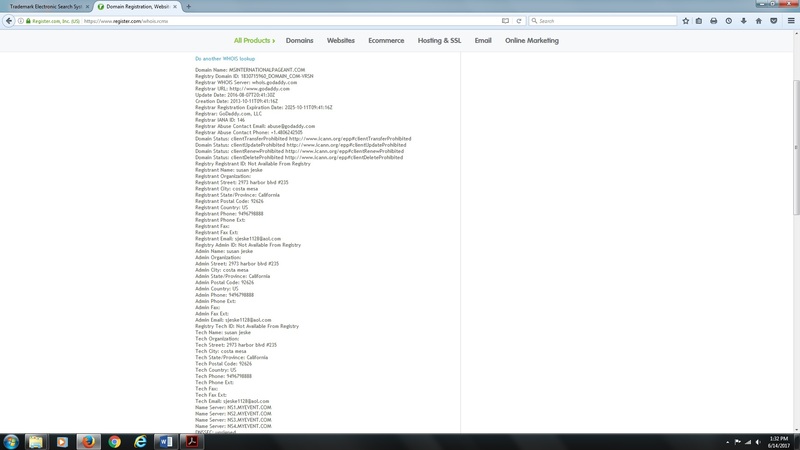 Based in Costa Mesa, California, the Corporation is owned by Susan Jeske who is the CEO. 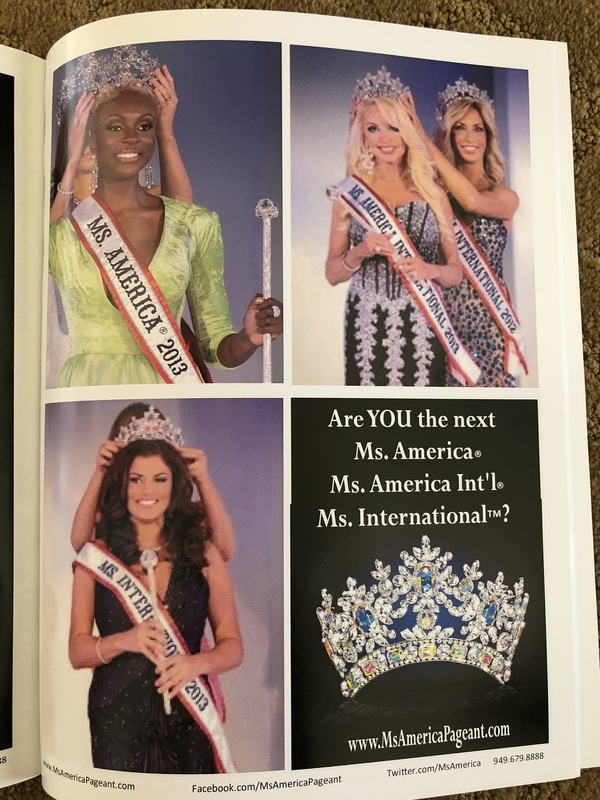 Ms. America® is a registered federal trademark with the United States Patent and Trademark Office in Washington DC since February 22, 2000. 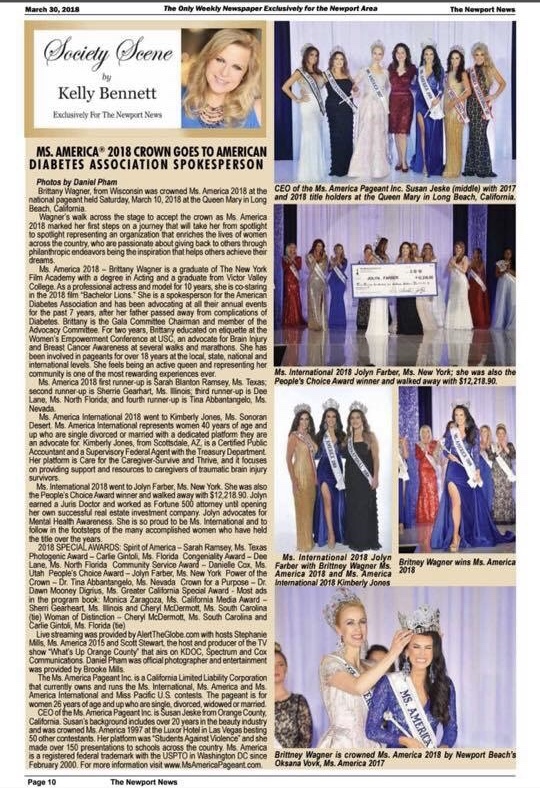 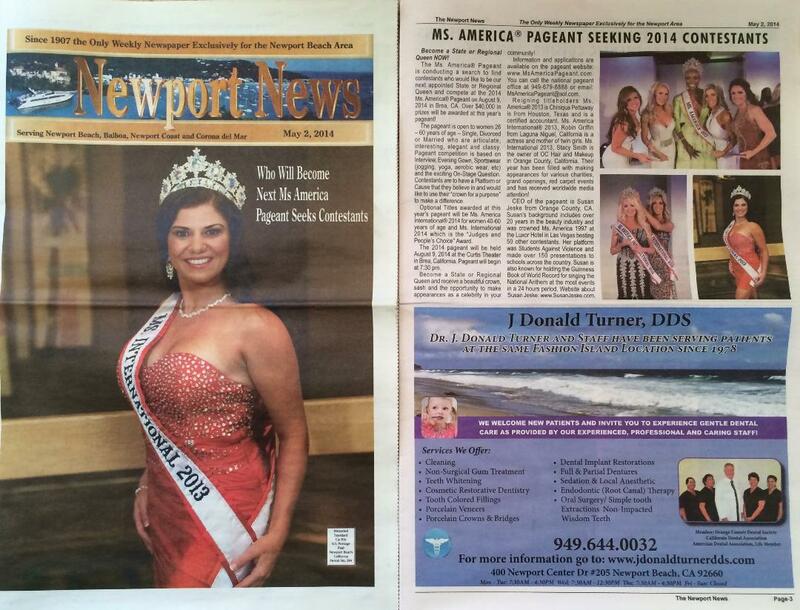 Ms. International 2018 - Jolyn Farber on the cover of the Coto de Caza News Newspaper! 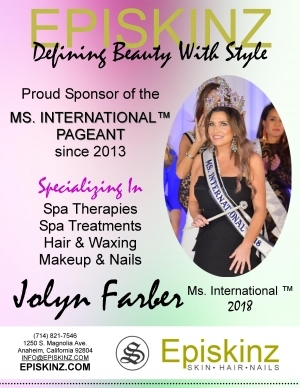 Jolyn Farber was also the People's Choice Award internet voting winner winning $12,218.90 in cash! August 9, 2018 Meet and greet with “Wheelchair Man,” an Afghan-American paralyzed from bombing in his home country who became a U.S. citizen, and is now a “super hero” and author. 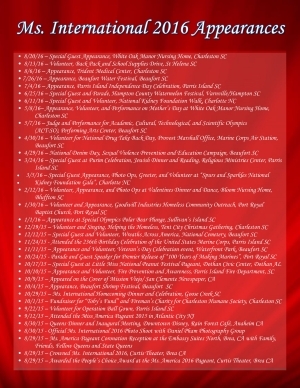 June 23, 2018 Personal guest of Spanish Chef, Pilar LA Torre, at private dinner in Madrid, Spain. 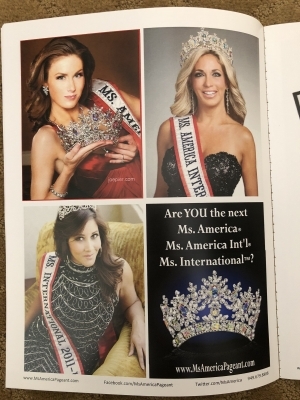 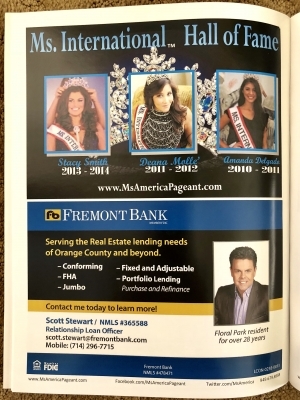 advertising for the Ms. International™Pageant. 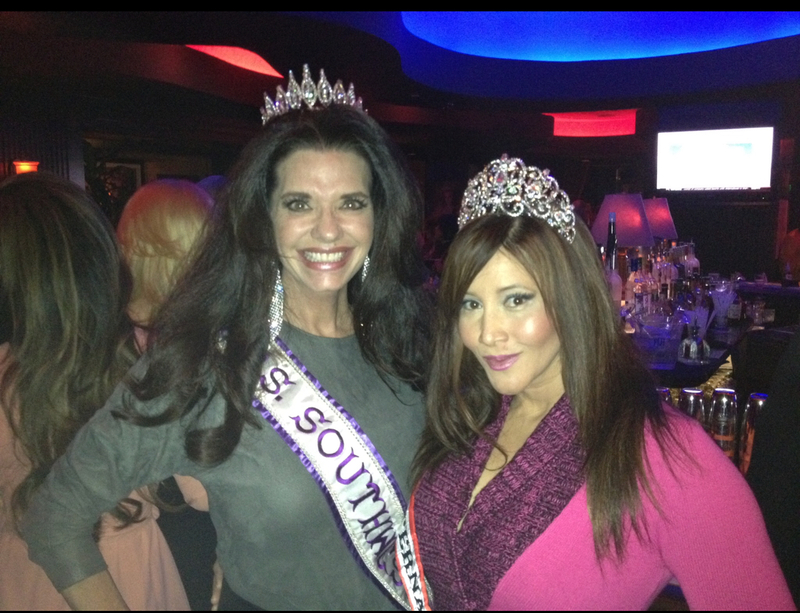 Ms. International with Mrs. Southwest International. 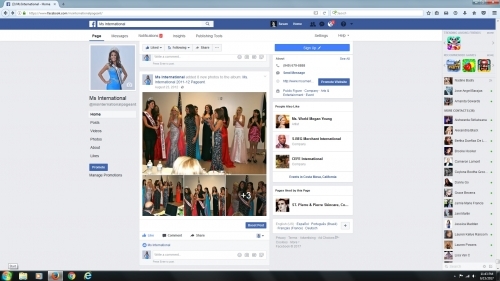 Mrs. Southwest competes in Mrs. International Pageant that belongs to Mary Richardson. 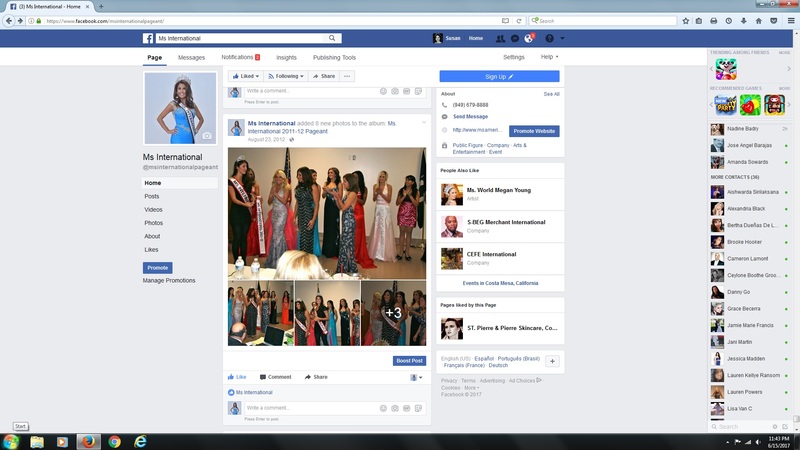 Facebook Friends with Mary Richardson for almost 7 years.